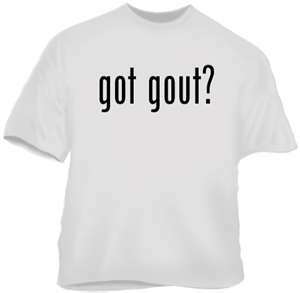 Are you aware of how you may have developed Gout in the first place? Contrary to belief, Gout has no restriction to age and gender. 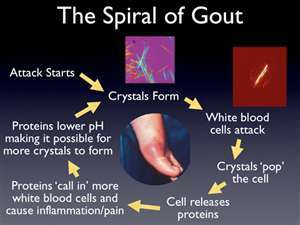 Gout has been on the rise in recent decades, continuing to reach epic proportions. Even those genetically predisposed to Gout can still control their attacks, and prevent future attacks as well, with some simple lifestyle adjustments and all natural supplement support. Mix tomatoes, bell pepper, cucumber, celery, onion, chives, vinegar, 2 tbls of the lemon juice, Worcestershire sauce, pepper, salt and hot sauce in a large bowl. Cover and chill for at least 20 minutes or up to 1 day. Mix shrimp, melted butter, remainder tbls of lemon juice, garlic and thyme in a medium bowl; cover and refrigerate for 20 minutes. Note: Shrimp is usually sold by the number needed to make one pound. For example, "21-25 count" means there will be 21 to 25 shrimp in a pound. Size names, such as "large" or "extra large," are not standardized, so to be sure you're getting the size you want, order by the count (or number) per pound. Both wild-caught and farm-raised shrimp can damage the surrounding ecosystems when not managed properly. Fortunately, it is possible to buy shrimp that have been raised or caught with sound environmental practices. Look for fresh or frozen shrimp certified by an independent agency, such as Wild American Shrimp or Marine Stewardship Council. If you can't find certified shrimp, choose wild-caught shrimp from North America-it's more likely to be sustainably caught. To peel shrimp, grasp the legs and hold onto the tail while you twist off the shell. Note: Grilling/high direct heat cooking methods can alter the food chemically making it very unhealthy. 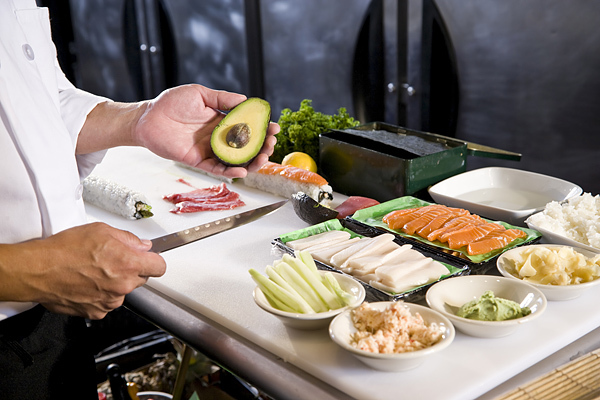 Marinating your food in a citrus prior to cooking reduces the carcinogens by an astounding 99%! 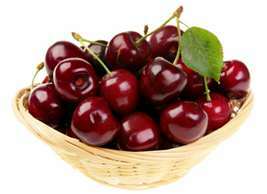 Note: A balanced meal should consist of 30% acidic to 70% alkaline (mainly veggies). In order to balance this meal one should add a nice baked sweet or baking potato with sour cream.